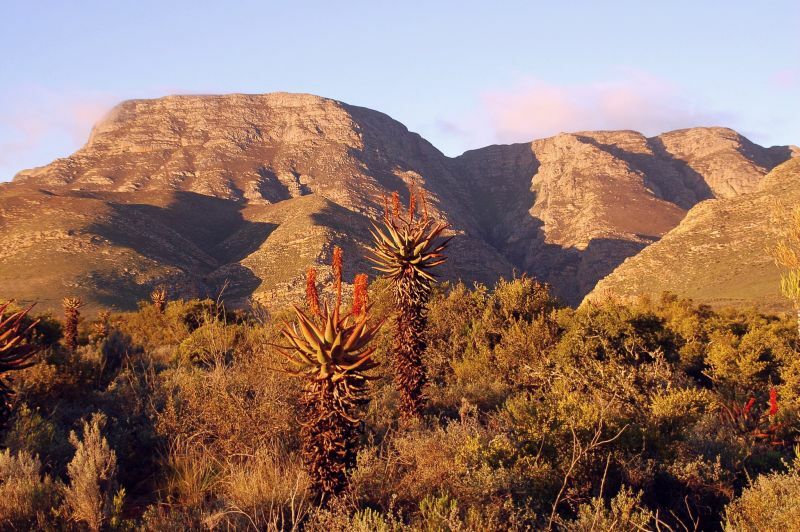 About South Africa, history, and the human aspect. ♦ AmaBhulu was born in 2006, when I received news about yet another deadly and barbaric farm attack in South Africa. The numbers showed that the white farming community in the east of South Africa had become the most threatened community in the world outside of formal war. As a human being, I considered this beyond disgusting. In my view, the Western media was not fulfilling its duty. It had flooded into South Africa in hordes for the 1994 election, confidently expecting a bloodbath that never materialized. However, in the process they completely missed the horrific genocide in Rwanda. Now that the ostensibly multiracial South Africa had a government that refused to even record statistics on farm attacks, the same media was playing deaf, dumb and blind to the growing bloodbath in extra-urban South Africa. Something had to be done, but what? As a scientist, I could contribute a background in research, analysis, fact, and evidence, and a trained ability to express results in coherent written form. However, my faith in the might of the pen faced a harsh reality. No person outside the country could even begin to understand South Africa if they knew nothing about its exceptional history. South Africans themselves would be hard put to address their own situation if they did not comprehend their own history. The United States, in particular, has a near-disdain of history, particularly non-American history. How then to keep the attention of an American reader through 350 years of essential history of a distant country? American wealth, power, self-sufficiency, and physical isolation have shielded that nation for well nigh ten generations from having to know about realities in other countries. The solution, I believed, lay firstly in providing that potentially dry history with a human aspect, and, secondly, in providing a link to the United States all the way through the work. But how would one provide the human aspect without turning a work of hard fact into a work of fiction, thereby destroying its factual basis and its very credibility? A work akin to, for example, James Michener’s The Covenant, with its representative but fictional characters, would be entirely inappropriate. A Canadian colleague suggested that I should do what I had done in a 2006 Internet publication. In that work I had described events in South Africa from around the 1950s to the 1990s at the hand of my own close family experience. The colleague felt that the family sketches in the earlier work created the required human interest. But, what to do when one has to describe history before one’s own birth? This was when I remembered the genealogical work done by my mother-in-law on my wife’s ancestry. Perhaps I could build on that work by extending it to all the family ancestors and then select individual family lines to plot through 350 years of South African history. I decided on a very specific strategy to blow life into the history. I would describe the history, and then, to create human immediacy, I would take the reader back “in real time” in vignettes titled “Nexus Familia”, sketching the ancestral characters and their situations. So was born the concept for AmaBhulu. Initially, I merely wanted to sketch the lives of ordinary people in what were extraordinary circumstances from a European or American perspective. However, the kind of information that is suitable for a work of history such as AmaBhulu is not typically found in dry death notices, church books, or regular estate documents. The implication was that I would have to work my way through our family tree and then attempt to locate the individuals in a multitude of books and sources relating to the history of South Africa. This was a daunting task and could be summed up as identifying one’s ancestors and then searching for them in history books. On the other hand, there was a big factor working in my favor. Twenty years into the settlement of the Cape, there were only a tiny handful of European women at the settlement, but around two hundred men. In reaction, the Company imported Dutch orphan girls. They were practically “scooped up” as they landed. The immigrant Huguenot Refugees of 1688 only numbered around two hundred who, in the first local generation, often married among their own group. Furthermore, there was never a massive wave of immigration to South Africa, as in America or Australia. 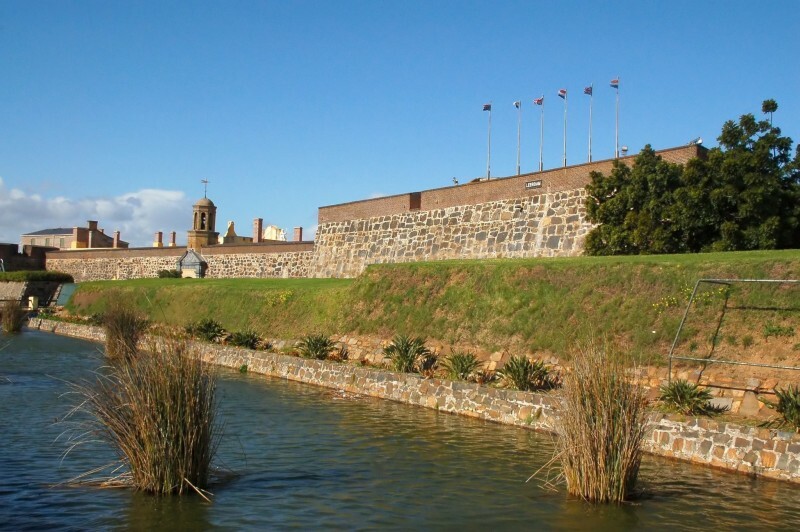 Consider also that, before 1820, almost all immigrants arrived via Cape Town and ancestors of most Afrikaners were therefore rubbing shoulders in large numbers in 17th to 18th century Cape Town. As a result, large numbers of ethnic Afrikaners can identify a common ancestor ten to twelve generations ago. By way of example, Jacob Cloete, the first true immigrant to South Africa from Europe, appears no fewer than 36 times in our son’s genealogy. The result is that, by tracing the ancestors of my own family, I was likely taking an extraordinarily representative sample of the whole Afrikaner nation’s Early Cape ancestry. This established my ethnic credentials as author in that my family history provided a “dreadfully typical” and representative picture of the ordinary Afrikaner through history. Even though I had planned to focus on the lives of ordinary people, I was soon rudely awakened. Painstakingly working through my paternal Snyman ancestors, I realized that their Bezuidenhout ancestor was the man accused by the Suurveld amaXhosa of starting the Second Frontier War. Then it emerged that his younger brothers were the two Bezuidenhouts who died at the beginning and end of the 1815 “Slagtersnek Rebellion”. Soon after, it emerged that my wife’s ancestral brother was the man who tried to reason with the rebels and was nearly killed for his pains. Her ancestral nephew was one of those hanged twice for that “rebellion”. And then it became clear that the whole “rebellion” scheme had been concocted on the family farm. More research revealed that their ancestor in turn had been to first to meet black people overland in South Africa in 1702. Yet more reading showed that my wife’s Prinsloo relatives were the first Agter-Bruyntjeshoogte settlers—the true Frontiersmen. And, what was more; I could quote overseas explorer Sparrman in this matter from his 18th century book on his travels. Anyone with even the smallest bit of insight into South African history will confirm that the Kamdebo-Achter-Bruyntjeshoogte region was the crucible of South African history. This was the original “Frontier” in the 1770s, when the Prinsloo-Klopper “clan” first sought permission to live in Achter-Bruyntjeshoogte, today the region around Somerset-East at the foot of the Bosberg. At that point, I realized that I had approached the problem from the wrong side. The people at the Old Cape were so few that I could actually study the details of key historical events and subsequently search for the relevant individuals among those in the family tree, or those close to them. That is, I reversed the process from the original. The Afrikaner nation was both small and close knit enough to allow this. This is how my ancestral sister turned out to be Trek leader Louis Trichardt’s wife, my wife’s ancestor turned out to be the brother-in-law of Piet Retief, and two of my own ancestral family members ended up incarcerated in the Cape Castle, one along with Adam Tas in 1707. In fact, my ancestral Biebouw brother coined the name “Afrikaner” and remains commemorated by a memorial plaque in Stellenbosch. Some family lines, for example our Swartland Bassons, did nothing but grow wheat in the Malmesbury region for 270 years, far from any key events in South African history. I could not bring myself to believe that an innocent American reader would have much interest in the sowing, harvesting, threshing, and selling of wheat near the Cape of Good Hope, despite the fact that they had the greatest yields on earth. In fact, the Swartland was the epitome of agrarian stability. The particular wing of the family simply did not ring the bell of interest. On the other hand, the research also led to ironic revelations. As a young schoolboy, I had often been teased by the other boys that “Harry die Strandloper was your uncle”. When I discovered that Krotoa, better known as “Eva the Hottentot”, was my direct ancestor, the immediate logical implication was that Autshumao (Harry die Strandloper) was indeed my (ancestral) uncle—Krotoa was his niece. My (in)famous Khoekhoe “uncle” had orchestrated the murder of a Dutch cattle-herd named David on 19 October 1653 and he, along with all his people, had made off with the Dutch cattle. In 1658 he and some of his cohorts had been confined to Robben Island for this act. He would also be the first to escape from there. This could get very interesting indeed. It certainly confirmed my God-given right to live in South Africa; more so than any black man whose ancestors migrated southward to conquer and displace the indigenous Khoekhoe. And so, I swallowed twice and decided to embrace my “inner-Hottentot” and see where all this would take me. After all, how many people can legitimately claim their ancestor (Pieter van Meerhof, Eva’s husband) went on a quest for the Lost Kingdom of Monomotapa; almost, but not quite, Indiana Jones or Allan Quartermain of movie and H Rider Haggard fame. A huge number of Afrikaners can indeed make that claim, because they share my early Cape ancestry. And so started the hard work of trawling through a veritable mountain of books. Many of those were available on the Internet from Google Books, OpenLibrary, Project Gutenberg, and the Internet Archive. Other books I found in the local Simon Fraser University library. From the highly politicized scribbled statements in some books, I could tell that the previous readers wished me and mine only ill. Now it was my turn to use the same books. Perhaps I should thank those who wished us so much evil, because they created a superb resource for me. And the facts ignored by the previous readers were there for all to see. Some earlier work by Adelbert Semmerlink led me to American sources for information about our ancestral Sterrevelt family of Nieuw Amsterdam (New York). 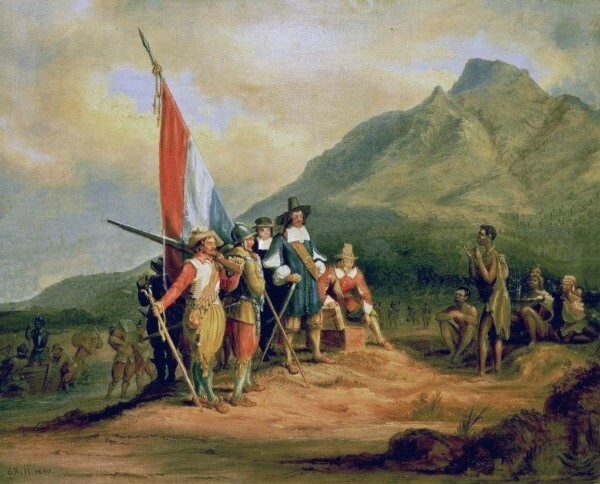 In 1666 Ariaentje and Neeltje Sterrevelt became the first American immigrants to South Africa. These sources helped me determine that the Sterrevelt home was on what is today Stone Street New York, in the shade of the towering Goldman Sachs building, a key point in world finance. How ironic that our ancestor, Huybert Sterrevelt, would leave there, stating for the record that he “does not know how to make a living now” after the English illegitimately took the colony in peacetime in 1664. 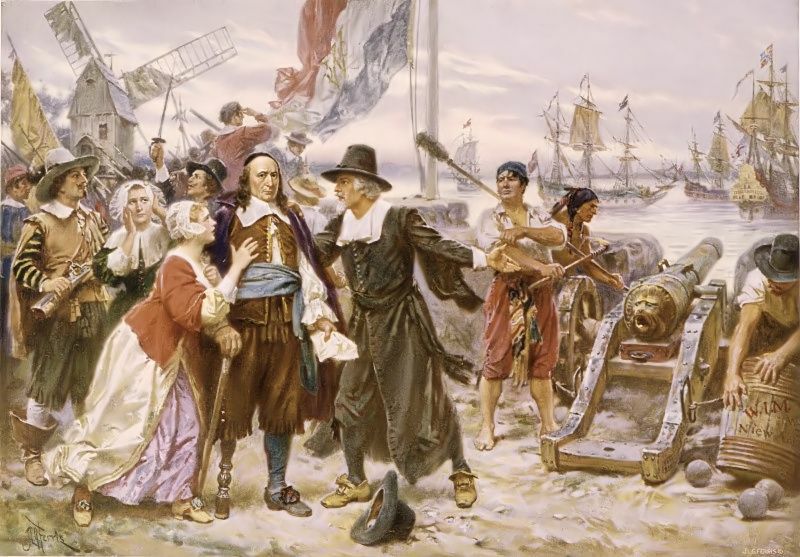 Beyond providing me with a first solid link to the United States for the book, it also showed that many of the famous “Pilgrim Fathers” of the United States actually started their journey from Holland, where they had lived, and not from England. The amazingly detailed online TANAP estate inventory database became an invaluable tool in this process. By way of example, it contains Ariaentje’s exquisitely detailed 1690 home contents. The closely associated Resolutions of the Council of Policy is an equally superb information source. Moodie, The Record (I,III & V) (1960) (Balkema) – a goldmine of historic letters in the Cape Archives. The above is but a tiny glimpse at the work and sources that went into the seven year creation of AmaBhulu as a comprehensively referenced detailed history of South Africa based on the real people who lived it all. I have confined myself here to the pre-British Settler period up to around 1820, because the limited pages available here do not allow us to expound on later periods. Even then, the above is only a minuscule selection of the sources covering the period. For example, the accounts of travels by Sparrman revealed the Prinsloo family of the frontier; the Thunberg account revealed the whereabouts of our Jordaan family in the 1700s; the Barrow account revealed the whereabouts of our Van Rooyen ancestral family around 1801. 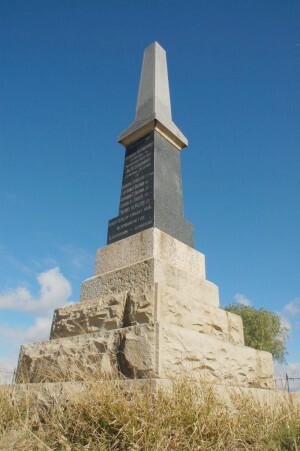 Cullinan’s brilliant treatise on Robert Jacob Gordon identified the location of Doringrivier farm where my Scheepers family was massacred in the Third Frontier War. This list goes on and on. At this point it feels as though I have merely scratched the surface. I have not even been able to tell readers here about how, as a member of a “blue-blood” East Cape Rebel Afrikaner family, I discovered an ancestor in the British Army as a 1810 Italian deserter from Napoleon’s army, into which he had been conscripted by decree. Genealogy takes one to strange places and even more outrageous truths. I suspect it is not an appropriate subject for politicians, given that they seldom particularly welcome the truth. All I know is that those who ignore history are doomed to repeat it. I feel my ancestors spoke to me throughout this work. They stared over my shoulder and insisted on being heard; and I could not deny them. AmaBhulu was a challenge that I could not refuse and still call myself a man. And so the book became a 350-year odyssey. Many individuals helped me in this process. However, several also specifically asked me not to thank them by name in public for fear of reprisal by the interested and politically powerful. That help also came from museums, archives, and in several cases from individuals in government departments. It came from very senior officials and from humble clerks. It came from farmers who hacked open overgrown graves for me and insisted on lodging me without reward on their farms. It came from older people, but also from younger people desperate for the truth, which is getting ever more obfuscated. The individuals were of all races, religions, persuasions, and statures. This is what keeps a glimmer of hope alive for me that South Africa will survive the current climate of rampant political hubris, extreme outrage, and horrific abuse of the innocent. The country has the people who can make it work, if only they were given the opportunity. I should like to thank them all for keeping that dream alive, even if it is at this time just a glimmer.